Back once again making art for the super cool Los Angeles band NO. 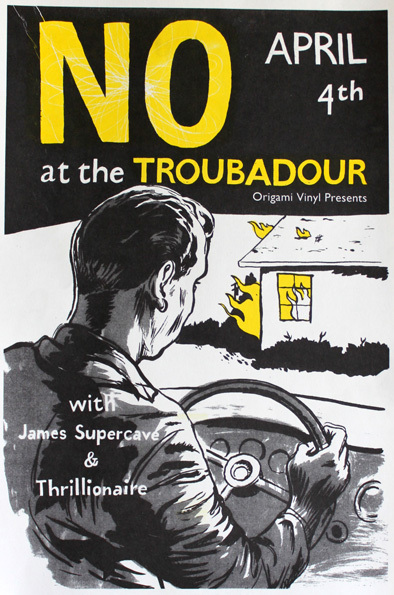 Here is a limited run poster I created for their show they just had in April at the Troubadour. I wanted it to look like an old pulp book cover, something punchy, mysterious and inky. My buddy Never Press was kind enough to share his expertise at risograph printing with me and I couldn't have been happier with the way these came out.